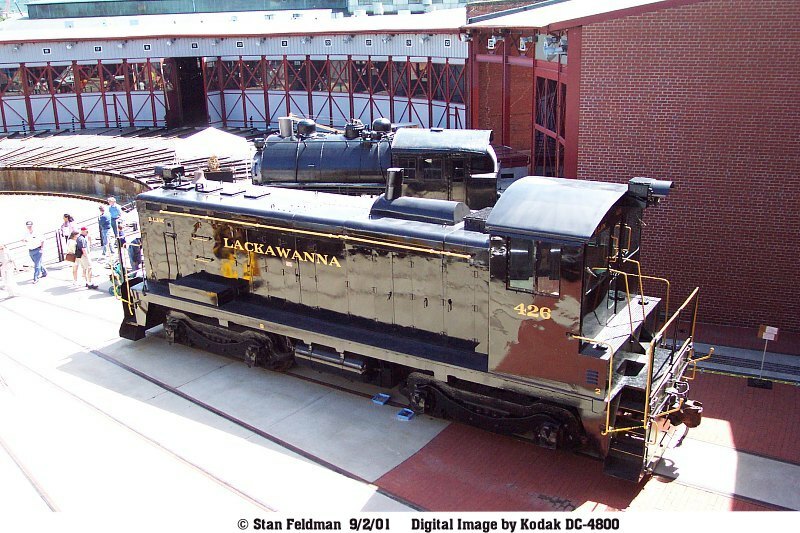 Steamtown National Historic Site; Page 3 of 3.
at The Steamtown National Historic Site in Scranton, Pennsylvania. 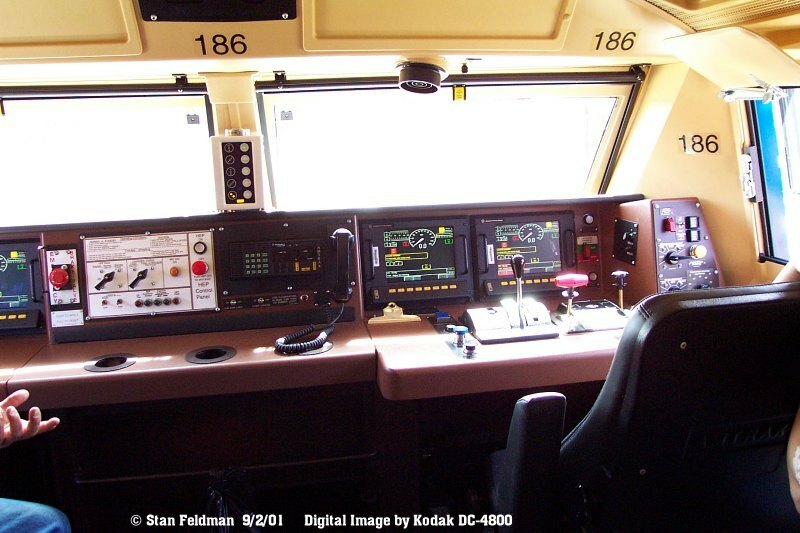 Click here to see a Digital Image of the inside of the cab of Amtrak P-42-DC # 186 showing the computer screens, Cab Signals, etc. 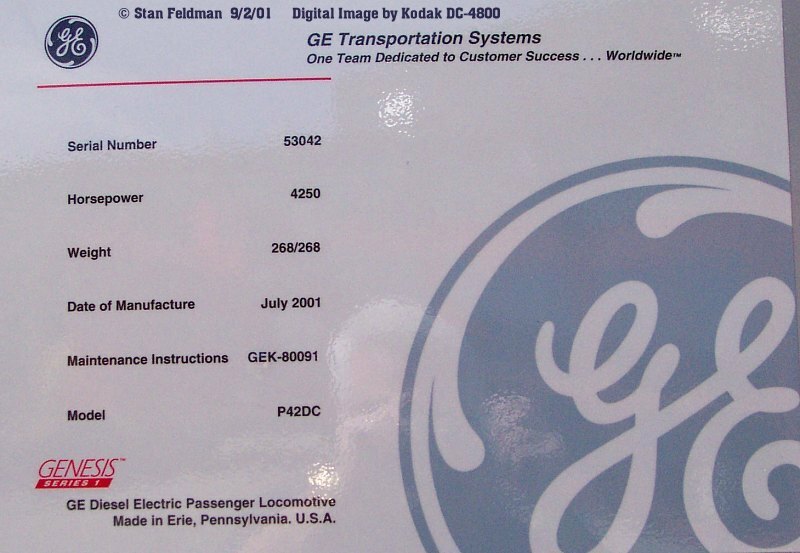 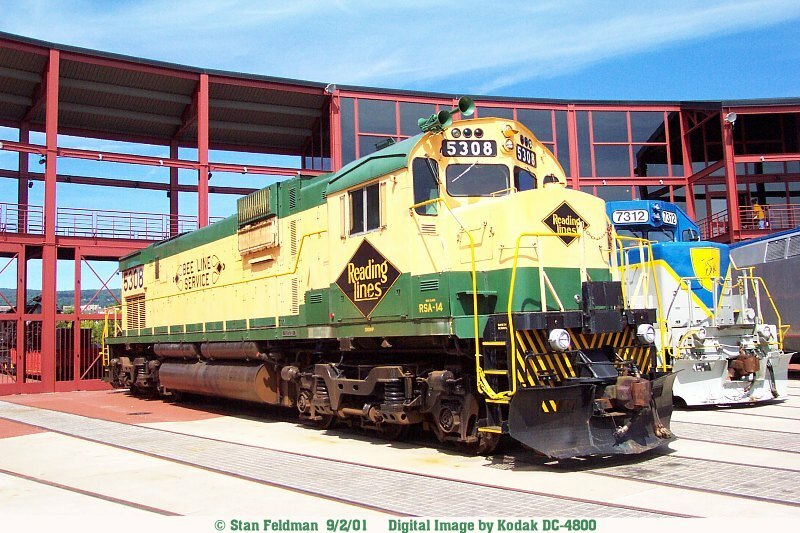 It is on display at Rail Expo 2001, Steamtown NHS. 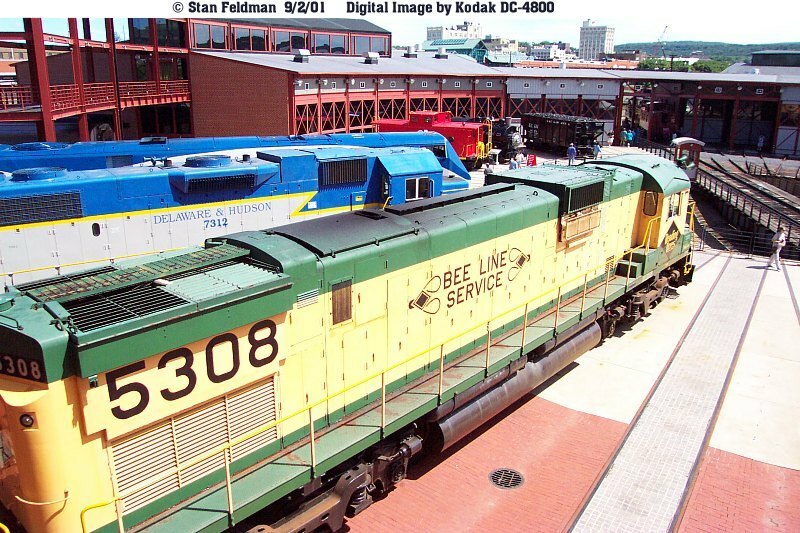 Scranton Pa. 9/2/01. 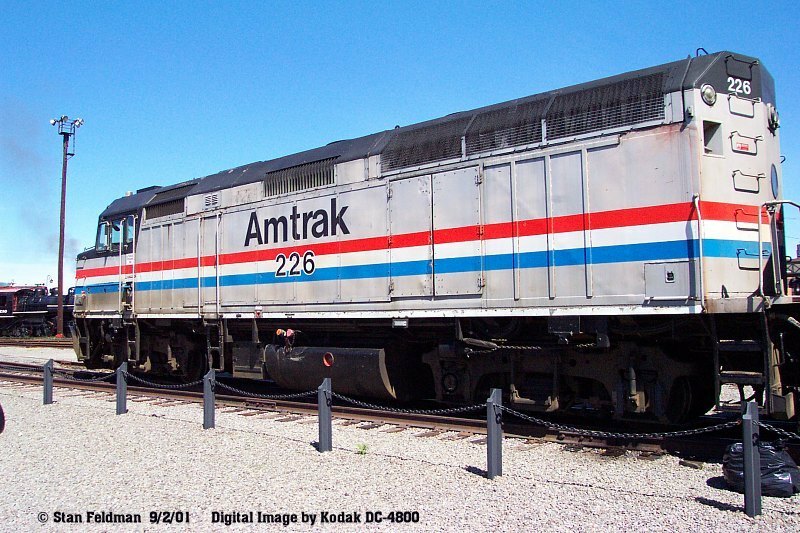 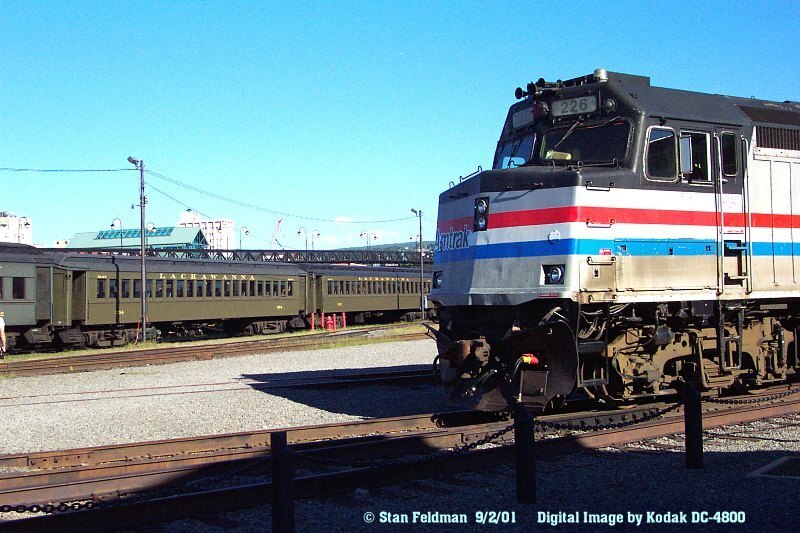 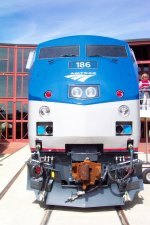 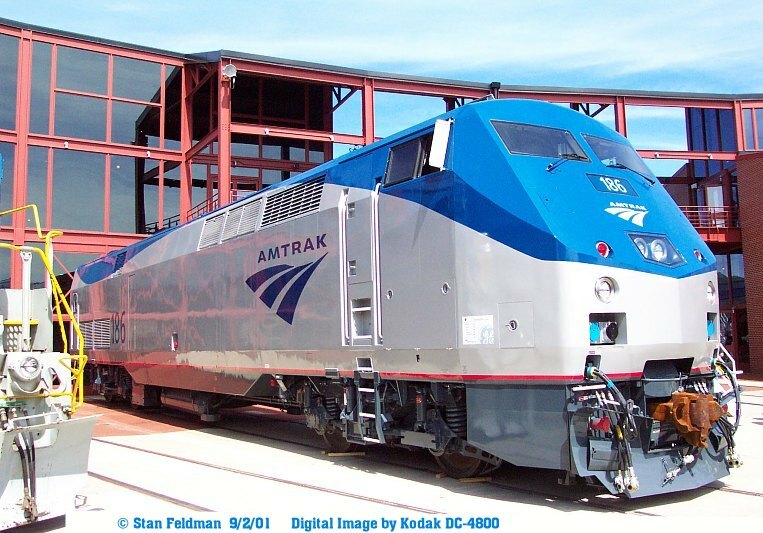 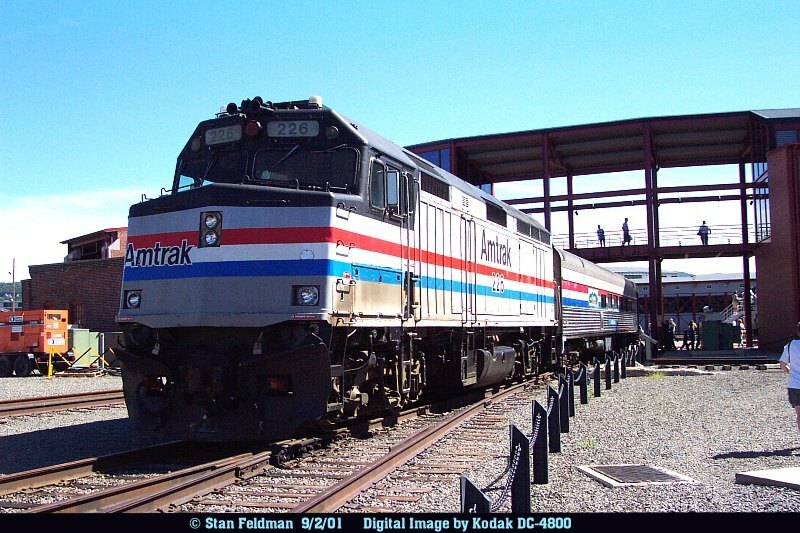 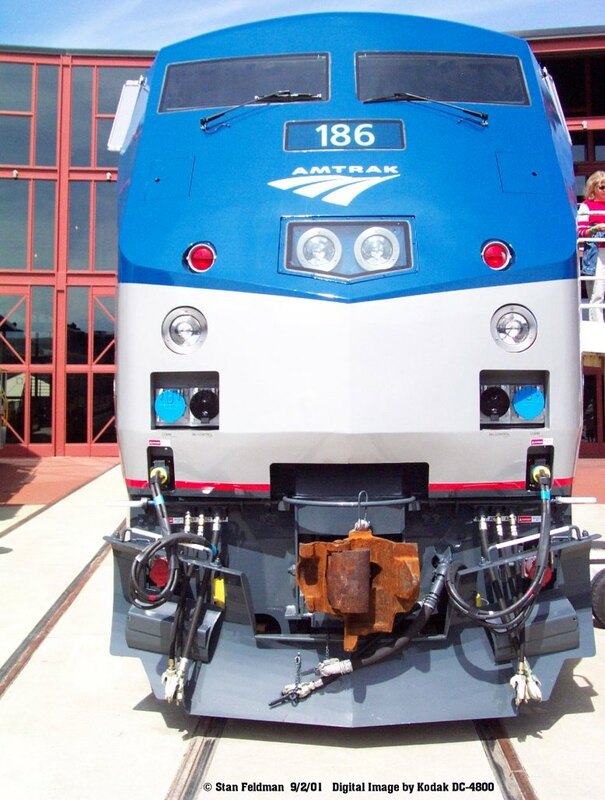 Click here for a front, "head on" look at Amtrak P-42-DC # 186.